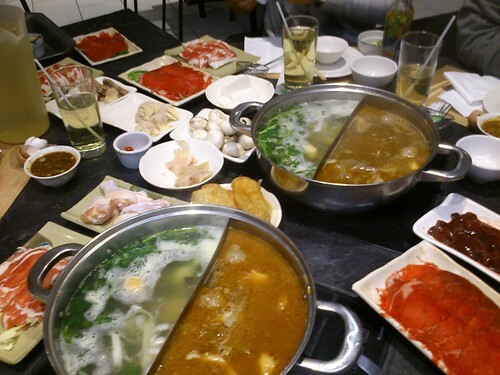 After a chilly and spooky night out at Canada Wonderland’s Halloween Haunt, we headed to 100 Degrees Hot Pot Restaurant for the perfect time to warm up and refuel over hot pot. 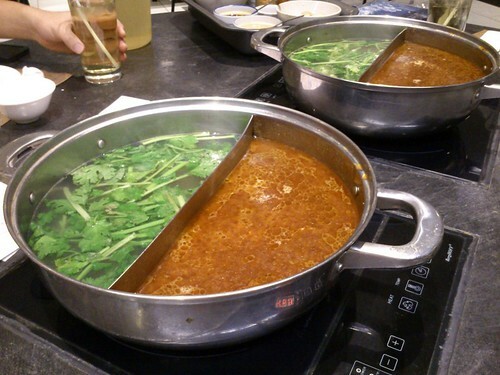 Hot pot is a do-it-yourself cuisine where you have a pot full of pre-prepared broth or soup boiling in order to cook food in front of you. You can do this at home or go out to restaurants where you can get have your own pot or share among 2-4 people. I’ve been to 100 Degrees in the past and didn’t form a particular opinion of the place (pre-food blog days 😉 ). This time, I can say that I loved the food and we had an awesome time. Order sheet that is chock full of goodies! I forgot to bring my foodie camera so this picture is super blurry..
We had two pots going for 7 people with a split Sichuan soup base and split cilantro and thousand year old egg soup base. Dual soup base pots! One spicy, one refreshing. 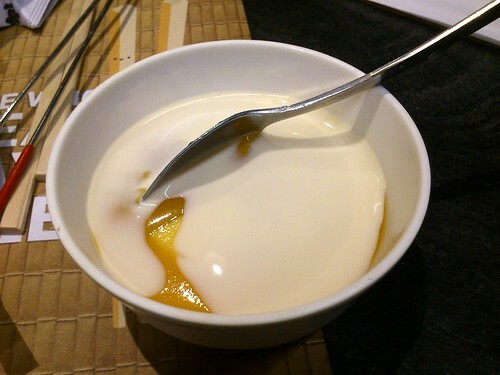 Mango yogurt as dessert. This one was just okay. 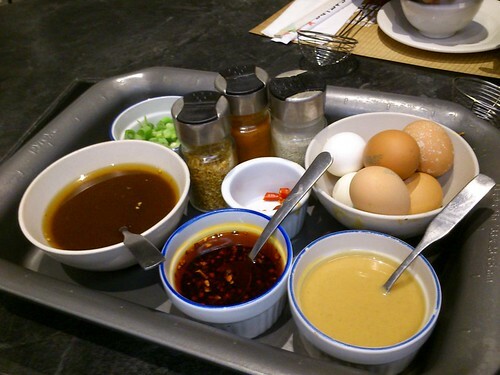 The one at Yang’s Kitchen was delicious! I am definitely going to return again. 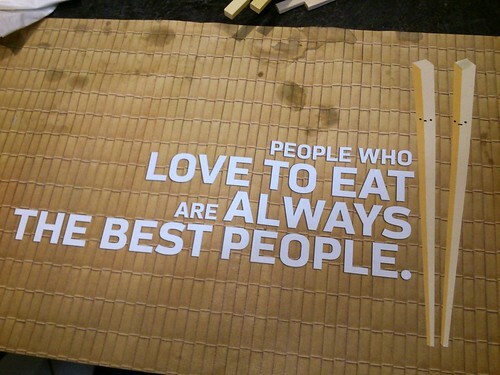 I absolutely loved their lamb and sliced beef. It was so tender and flavoured so well. 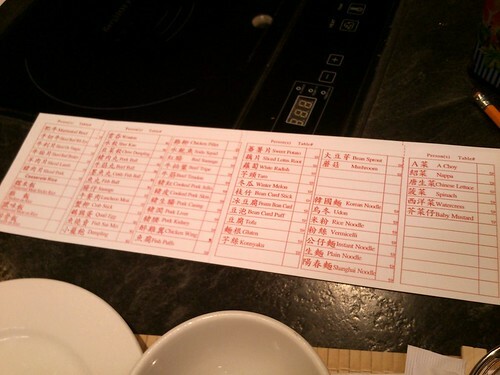 :’) Hot pot nights are perfect during the cold winter nights! 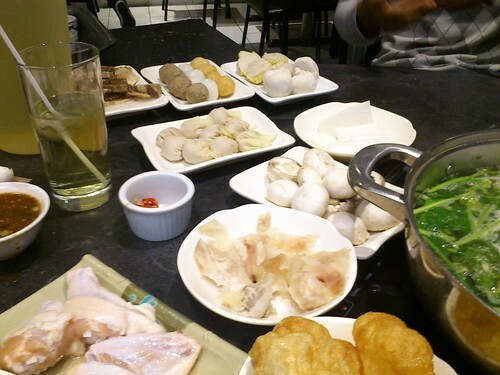 This entry was posted in Food, Uncategorized and tagged 100 Degrees, 650 Highway 7 East, all-you-can-eat, AYCE, Chinese, dinner, DIY, food blog, foodie, hot pot, Hwy 7, late night, restaurant review, Richmond Hill, seafood, soup base. Bookmark the permalink.